All the heat in your home is inevitably lost to the outside; so why not measure what is going on out there? Traditional controls with a simple on-off function, which measure only the inside temperature, can be inefficient when compared with a modern weather compensated system. 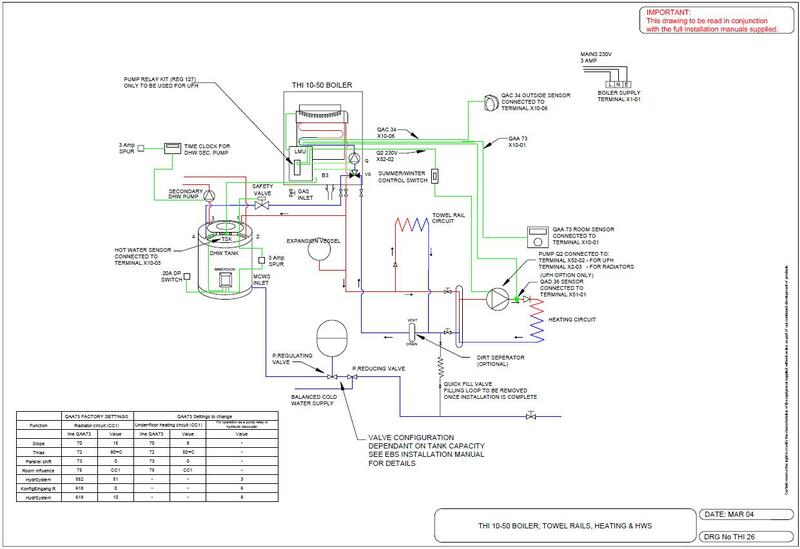 The efficiency of the boiler remains the same, it is the efficiency of the way in which it is used that makes the difference, and this is especially relevant to modern condensing boilers with near infinite fan modulation. The manufacturers we recommend estimate the difference to be a 10-20% saving on fuel bills. Customers report that the switch from standard controls to a weather compensated system not only gives reduced running costs but also eliminates hot and cold spots in the house and leads to a more comfortable, generally warm living environment. The boiler has a sensor which reports the outside temperature. 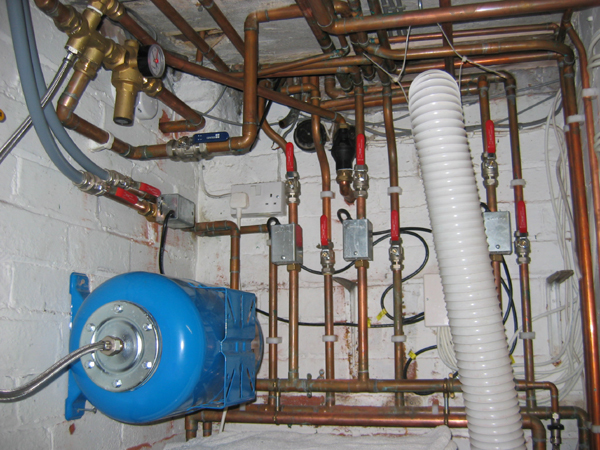 The boiler then adjusts its flow temperature in relation to the outside temperature (eg the colder it is outside, the higher the flow temperature). It does this according to a parameter you set called the Heat Slope. The higher the value of the heat slope, the hotter the flow temperature will be for a given outside temperature. Weather compensation can be applied to both radiator-based and underfloor heating. Typically, weather compensated systems run at lower temperatures and for longer. The idea is to keep the boiler ticking over at a low temperature, rather than have it blast away for a few minutes and then shut off. This is because a modern condensing boiler is more efficient on low than on high. 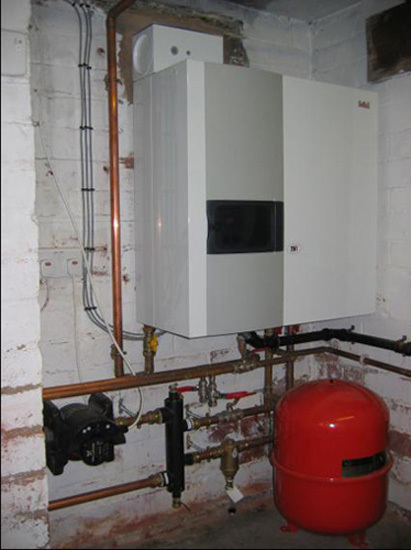 When a boiler is ticking over, its fan speed is very low, resulting in the emission of less flue gas and therefore less heat loss through the flue; and the lower flow temperature means that the boiler is in condensing mode all the time, so maximising the efficiency of the boiler unit. Most condensing boilers do not actually condense for very long, because of the controls they are paired with – when you see a large white plume from a flue terminal, the boiler is hardly in condensing mode. An additional improvement is zoning. If you own a large property, it makes no sense to fully heat areas you are not using (although letting parts of the property drop to uncomfortably low levels can result in further inefficiency). Dividing the house into zones will result in appreciable fuel savings. Installed: Geminox THi condensing boiler running 4 central heating zones with weather compensation and an unvented cylinder – cellar now heated as 4th zone. Result: All floors are individually controllable, the house is continually comfortable and the hot water service is now mains pressure. Fuel saving over previous year estimated at £300, even with the additional zone.